While gun cabinets built to this standard are generally secure enough for most situations, there are times when increased security might be needed. This is especially true if securing weapons in an environment where children might be present, or in a more remote, isolated location where burglars could potentially work at breaking into the cabinet uninterrupted for an extended period of time. The burglar resistance standards applied to higher security gun safes and shotgun cabinets are identical to those used with cash safes. These standards are decided upon at a European level by a panel of experts and agreed by all member states. 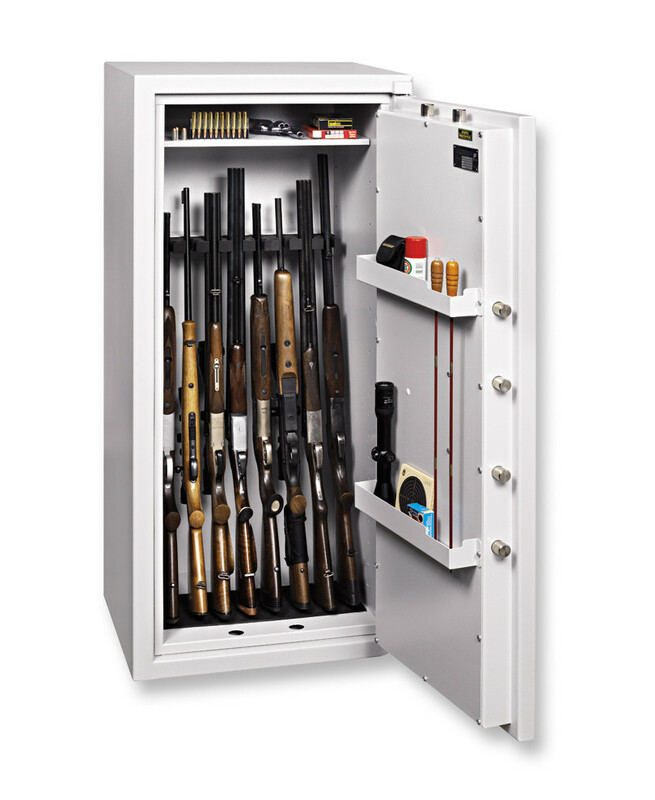 The most common security standards you are likely to see applied to a gun cabinet are the EN 14450 and the more secure EN 1143-1 Eurograde system. Many manufacturers currently offer gun cabinets that have been tested to these standards. For instance, the Burton Ranger series features three cabinets, the RS1-5S/E, the RS1-7S/E (tested to EN 14450 standards) and the RSI/8 (tested to Eurograde standards). Far exceeding the level of security required by the BS 7558/92, cabinets in this range are certified by the experts at the VdS testing facility. Each cabinet in the range can be fitted with high security key locks, electronic locks or biometric fingerprint locks for the absolute maximum amount of protection. Each of these locks is tested to the EN 1300 standard, meaning it is almost impossible to bypass them, even by physically attacking them. The fingerprint lock is even capable of “fake finger detection,” so even the most resourceful and inventive of thieves will have no luck unlocking it. All cabinets feature rear and/or base fixing so they can be anchored to a wall or floor. 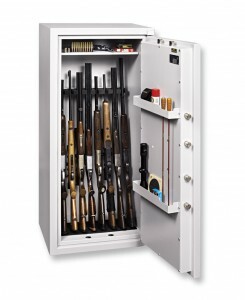 Suitable for storing rifles or shotguns with scopes or silencers fitted, Burton’s Ranger gun cabinets also feature holders for ammo rods, as well as storage space for ammo and other items. They are a super secure alternative to standard gun cabinets.